I have spent some time decoding Supreme People’s Court (SPC) President Zhou Qiang’s March 2019 report to the National People’s Congress (NPC). As I explain below, it provides signals into how the Chinese courts are changing and may change in the post 19th Party Congress New Era. This report is both different from and similar to previous reports. The major difference is linked to the 2019 Central Political-Legal Work Conference (at which Xi Jinping set out in his speech (重要讲话) his view of the New Era for political-legal work（新时代政法各项工作) and the accompanying Party regulations on Political-Legal Work. As I explain below, the report is linked to other recent Party regulations, such as the Regulations on Requesting Instructions and Reporting on Major Matters （中国共产党重大事项请示报告条例）and Regulations on the Work of Selecting and Appointing Party and Government Cadres (党政领导干部选拔任用工作条例). 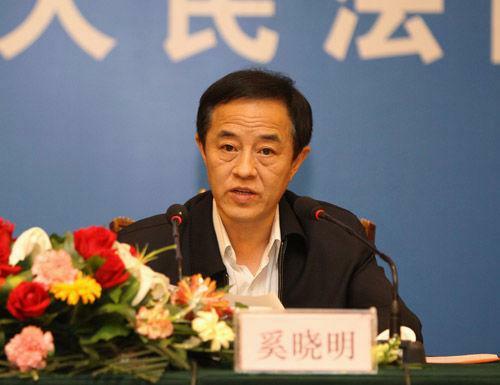 Although the Regulations on Party Groups were only recently issued (15 April), Zhou Qiang must have been aware of their content when drafting his report. It is also likely that he was aware of the Regulations on the Evaluation of the Work of Party and Government Leading Cadres (党政领导干部考核工作条例), issued on 21 April. As I have written before on this blog, the SPC Court President’s work report must be harmonized with the latest stance on political-legal issues. What is different is greater emphasis on political study and Party leadership, although these are themes that found in many previous SPC court president reports. The emphasis in this year’s report on political study is on Xi Jinping Thought on Socialism with Chinese Characteristics for a New Era (习近平新时代中国特色社会主义思想) and Party leadership is on implementing the spirit of the 19th Party Congress (党的十九大精神) and the January, 2019 Central Political-Legal Work Conference (全面贯…中央政法工作会议精神). This emphasis shown by the first numbered section of the report. It is entitled “Deeply study and implement Xi Jinping Thought on Socialism with Chinese Characteristics for a New Era and Uphold the Party’s Absolute Leadership [emphasis added] Over the Work of the People’s Courts (深入学习贯彻习近平新时代中国特色社会主义思想坚持党对人民法院工作的绝对领导).” The phrase “uphold the Party’s absolute leadership over the work of the people’s courts” has been used repeatedly since the 2019 Political-Legal Work Conference. The Party Regulations on Political-Legal Work (mentioned above) use the phrase “Party’s absolute leadership.” Li Ling (of the University of Vienna) sees this as indicating a complete and unambivalent severance from the judicial independence framework. The report identifies the primary political task for the courts to be studying Xi Jinping Thought and the 19th Party Congress decision (坚持把学习贯彻习近平新时代中国特色社会主义思想和党的十九大精神作为首要政治任务), and it calls for related training for all 350,000 court personnel (深入开展大学习大研讨大培训，对全国法院35万名干警进行全员轮训). This section also calls for the strict implementation of the [Party] system of reporting and seeking approval for major matters [also known as requests for instructions](严格落实重大事项请示报告制度)(the Party regulations on reporting and seeking approval for major matters（Chinese version here). Those regulations appear to be linked to the Political-Legal Work Conference but were not publicly issued until the end of February). As mentioned in my recently published article, 1995 regulations on trial work secrets require requests for instructions and their responses in a case to be placed in the supplementary file. These supplementary files are classified as trial work secrets. There has been significant criticism over many years of the system of requesting instructions/reporting and seeking approval (as I wrote 26 years ago! ), and proposals even within the SPC for the system to be “proceduralized” or “judicialized.” Some academics have called for abolishing it. For those who can read Chinese, I recommend Renmin University Professor Hou Meng’s 2011 article analyzing the system of seeking instructions. 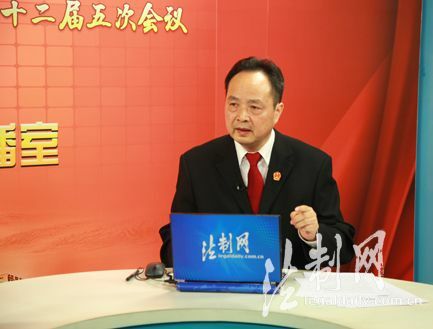 The second judicial reform plan (under the late SPC President Xiao Yang), called for reform to the system of reporting and seeking approval/request for instructions system. In a quick search I did of the SPC’s judgment database for the phrase “sought instructions from the higher court (请示上级法院), I found almost 350 that mentioned the phrase (although a certain proportion related to requesting the higher court to designate jurisdiction). Another indication of the emphasis on Party leadership is found in the section of the report that relates to the courts’ tasks for 2019. Section #5 of the court tasks refers to improving the quality of court personnel–“speed up the creation of a revolutionized, regularized, specialized, professionalized team, forge a high quality court team that the Party Center relies upon and the masses are satisfied with.” As explained in an earlier blogpost, “revolutionized” signals absolute Party leadership (五是加快推进队伍革命化、正规化、专业化、职业化建设，锻造党中央放心、人民群众满意的高素质法院队伍). This language is consistent with the 2019 Political-Legal Work Conference and President Zhou Qiang’s speech to implement the spirit of that Political-Legal Work Conference (note that similar language is found in Procurator-General Zhang Jun’s report to the NPC). As in previous years, most of Zhou Qiang’s report was devoted to the SPC’s and lower courts’ accomplishments in various substantive areas and providing selected statistics to support the narrative. Those statistics reveal that most of the cases heard in the Chinese courts are civil and commercial, not criminal. My incomplete research on the caseload of the SPC comes to a similar conclusion. What needs to be observed (for those of us focusing on Chinese court developments) is how these recent Party regulations will be integrated with court-related legislation–for example, how the Judges Law will be amended to reflect the latest political developments. [The Judges Law was promulgated on 23 April, a future blogpost will analyze its significance]. Other issues to be observed include the following questions. What does increased emphasis on Party leadership and political study mean for the operation of the Chinese courts and the increasingly professional judges working within the Chinese court system? The 19th Party Congress report calls for strengthening and improving Party leadership over bodies of state power. As described above, post 19th Party Congress it means implementing the system of seeking instructions from the Party organization and superior Party organizations and strengthening the leadership role of the Party group in operational (substantive) work and Party construction (加强对本单位业务工作和党的建设的领导). So what does this mean, for example, for the China International Commercial Court and the SPC’s Intellectual Property Court (and their elite judges), as well as the other SPC judges together dealing with almost 35,000 cases, retaining and attracting high quality legal professionals, particularly at the lower court level (this year’s report recognized that the resignation rate in some local courts is “severe”)? 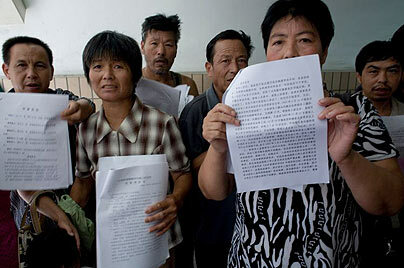 Most of the 28 million cases heard in the Chinese courts were heard at the local level. What does this mean for confidence in the Chinese court system, be it on the part of the Chinese public, the Hong Kong, Macau, and Taiwan public, and the international public? President Zhou Qiang’s report reveals that most of the cases in the Chinese courts involve civil and commercial disputes that for the most part arise between individuals or corporate entities (in 2018 9,017,000 first instance cases involved people’s livelihood, including 1,111,000 first instance employment, medical, pension, and consumer cases), and the courts heard 1,814,000 marriage and family cases. Will integrating socialist core values into judicial interpretations promote the rights of women, not to mention other groups whose rights have traditionally not been fully protected? Chinese mainland and Hong Kong are expected to confirm further judicial assistance arrangements, including those regarding criminal proceedings. Shen [Deyong, Supreme People’s Court (SPC) executive vice president] said in an interview with Xinhua that the two sides will carry out further negotiations on judicial assistance in civil and commercial cases and will take effective measures to deal with the assistance issues in criminal cases, so the assistance arrangements cover all judicial realms between the two sides. It appears that Justice Shen is repeating what he told Hong Kong’s Secretary of Justice Rimsky Yuen in April, 2017. Strengthen law enforcement and judicial cooperation between the mainland, Hong Kong, Macau and Taiwan,jointly attack crossborder unlawful and criminal activities. Likely taking the lead in negotiating these arrangements is the Hong Kong Department of Justice (Hong Kong DOJ)’s International Law Division (and I assume others as well) and its mainland interlocutors. I assume that a team from the Supreme People’s Court (SPC)’s Hong Kong and Macau Affairs office is among the negotiators on the other side of the table (with a team from the Supreme People’s Procuratorate involved with negotiations on criminal matters. The Hong Kong DOJ’s website lists five mutual legal assistance arrangements, with the most recent one, signed on 20 June 2017, on the Reciprocal Recognition and Enforcement of Civil Judgments in Matrimonial and Family Cases, not yet in force. The paper that the Hong Kong DOJ filed with the Legislative Council sets out details of the arrangement, including its scope. This latest arrangement relates to one of many pressing practical legal issues between Hong Kong and the mainland, the large percentage of “cross-boundary marriages.” According to the Hong Kong DOJ’s consultation paper on the arrangement (the SPC did not issue a similar paper), cross-boundary marriages increased from 32% to 37% during 2009-2014 and 20-30% of divorce cases filed in Hong Kong’s family court during 2010-14 related to marriages that took place on the mainland. International Recovery of Child Support and Other Forms of Family Maintenance (2007), not applicable to either Hong Kong or the mainland. Many of the previous arrangements reflected Hague Conventions to which the mainland was already a party. Commercial lawyers should note that according to an April, 2017 statement by Hong Kong’s Secretary of Justice Rimsky Yuen, it was agreed in the form of 2016 meeting minutes to prioritize an arrangement for reciprocal judgment enforcement in civil and commercial matters involving situations other than the presence of choice of court agreements. A consultation paper has not yet been issued for that arrangement. I surmise that the arrangement will reflect the draft Hague Convention on the Recognition and Enforcement of Foreign Judgments. Hong Kong’s DOJ has at least one representative participating in China’s delegation. Several senior SPC judges are also on the delegation. (The other two arrangements mentioned have already been concluded.) It can be seen from this visual from a Chinese court’s Wechat public account, that the end of 2017 has been set as the deadline for concluding that arrangement. There have been academic articles on many of these topics. It appears that the increased pressure on Hong Kong relating to the rendition arrangement is related to the drafting by the mainland’s Ministry of Justice of an International Criminal Justice Assistance Law. (No drafts have yet been released.) Fellow blogger NPC Observer notes that although the law is intended as a comprehensive statute covering all areas of international criminal justice assistance, including the mutual recognition and enforcement of criminal judgments, official discourse labels it an anti-corruption law, likely designed specifically to hunt fugitive corrupt officials overseas. So it appears also to be linked to Operation Skynet and the Central Anti-Corruption Coordination Group. The status of negotiations on a rendition arrangement or other arrangements related to criminal justice are unknown. What is known is that there have been instances, including earlier this year, in which certain mainland authorities have dispensed with the niceties of official liaison. Would having an arrangement improve matters, as Grenville Cross argues, or will “extraordinary” rendition continue to occur? Cooperation [on criminal cases] is significant, but considering the difference of the two legal systems, we face challenges in civil, commercial and criminal ­cooperation. It will still take some time. In recent months, the Supreme People’s Court (SPC) has been issuing one policy document after another to put some substance into the vague language of a “trial-centered” criminal justice system. One of those documents, which the SPC issued recently along with the Supreme People’s Procuratorate and Ministry of Justice, is directed at involving lawyers in the criminal case petitioning system: Opinions on Gradually Implementing Systems For Lawyers’ Representation in Collateral Appeals (Collateral Appeals Opinion). （The document was copied to a surprising number of Party, state, and military institutions, according to this version). The Collateral Appeals Opinion builds on a single line in item #36 of the SPC’s 4th Court Reform Plan outline: “Promote the establishment of a system for lawyer representation in complaint appeals [collateral appeals] cases.” As some readers may be aware, China has a collateral appeals or criminal case petitioning (刑事申诉) system, giving a convicted person and his or her family a right to petition a court to have the case re-opened and reconsidered under the Criminal Procedure Law’s trial supervision procedures. Criminal defense lawyers are hopeful that this will lead to more involvement by the criminal defense bar, but there are many procedural and financial arrangements still to be worked out. It seems likely that Judge Hu Yunteng, as a member of the SPC’s judicial committee (as well as others) were involved in the drafting of this policy document. As I discussed in a February, 2017, blogpost, Judge Hu Yunteng and other colleagues on the #2 Circuit Court wrote a research report analyzing criminal collateral appeals petitioners visiting the #2 Circuit Court (第二巡回法庭刑事申诉来访情况分析报告), (which does not seem to have been made public) and in the article summarized in that blogpost, advocated hearing the views of the party’s lawyer if one has been appointed and noted that making contact with the party and his lawyer was an important way to deal with these cases. But establishing an effective collateral appeal system system involves further issues, as highlighted by one of my students in his class paper (edited). Criminal petitioning [collateral appeal] lawyers face a dilemma: they don’t have the right to investigate evidence, read case files, or even meet their clients if their clients are now prisoners and not defendants. [Comment–section 9 of the Collateral Appeals Opinion has broad language on improving this–this is a positive step, but will require more specific implementing procedures]. Article 306 of the Chinese Criminal Law, which provides that criminal defense lawyers who encourage defendants or witnesses to change their testimony should be punished criminally. This provision makes criminal defense lawyers extremely unwilling to investigate new evidence by themselves because of the high risk. According to Chinese Criminal Procedure Law, the petitioning process should be conducted in the court which makes the original judgment. [Comment–the Supreme Peoples Procuratorate and Court media outlets recently have published proposals to have these cases should be considered by procuratorates and courts in other jurisdictions.] However, this court will have strong incentive to have these cases not successfully petitioned because their bonus and assessment are based on correctness rate of effective judgments. [My comment–this is one of the many ways the judicial performance assessment system creates obstacles to justice. So to make this reform effective, this indicator must be abolished.] Combined with the fact that there is no clear rule that needy petitioners should be assigned lawyers, they may either ignore the need for lawyers, or just assign lawyers who have little interest to really petition for their clients in these cases. So in most cases in which petitioners are in poverty, they could only seek the help of private lawyers for free service. In China there is a saying that if you want to win in petitioning you have to make a big influence to make the government notice your case, and if you want the government to notice on you, you have to use some extreme rather than some “legal” ways to petition. If petitioners hire a lawyer, the lawyer has his/her own professional responsibility standard that he or she has to follow, which may sometimes conflict with the “best interest” of the client. There a gap between the economic difficulty for ordinary daily life and economic difficulty in seeking legal service. For example, a person may not meet the criteria of economic difficulty because he or she’s earning is above the living standard. 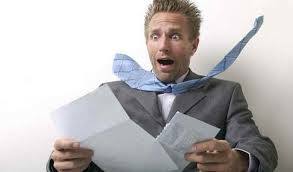 However, this person can still not able to afford legal service from a law firm because ordinarily the cost for seeking criminal defense service is above a person’s salary in a whole year. Such gap and seemingly objective standard actually causes a problem and means many people in need cannot receive the aid. Total number of foreign-related cases of all types (first, second instance, retrial, enforcement) heard and resolved: 25900, up 9.38%, among which 1061 were criminal,19200 civil and 3629 administrative, and about 2000 enforcement cases. The civil and commercial cases increased almost 11% compared to last year and accounted for about 75% of all foreign-related cases. The cases coming before the Chinese courts differ from the old trading and joint venture disputes, with many more cases involving demand guarantees, international factoring, private equity funds, stock options in companies listed overseas listed companies, cross-border telecommunications (fraud? ), bonded trade disputes. (As this observer has previously predicted), the number of cases related to One Belt One Road (OBOR) is increasing relatively quickly, while the number involving the United States, Britain, Germany, are decline. Cross-border project contracting and international logistics related cases are on the increase, as well as foreign-related intellectual property cases and maritime cases. Although Judge Zhang did not say so, it appears that many of these disputes are related to Chinese companies going out as well as OBOR, and may reflect inadequate documentation of the projects. The increase in maritime cases is linked to the ongoing decline in the shipping industry. Chinese maritime courts have heard cases related to the Hanjin bankruptcy as well as large numbers of cases involving ship crew. Challenges for the Chinese courts in hearing cross border cases: encountering many “blank spaces” in Chinese legislation; conflict of laws with neighboring countries. Other ongoing bottlenecks for Chinese courts in hearing cross-border cases–service of process to overseas parties; obtaining evidence crossborder; determining facts that have occurred abroad; determining and applying foreign law. establishing a case guidance and reference system for the lower courts, including model cases, guiding cases, and selected cases (i.e. as selected by the SPC), to guide and limit judges’ discretion. The SPC selecting some commercial cases (relating to free trade zones, internet finance, cross border investment financing) with an international impact as a model. On the goals for 2017, those include establishing an OBOR dispute resolution center (推进设立“一带一路”争端解决中心的建立，促进“一带一路”建设). This is likely linked to the May, 2017 OBOR Conference to be held in Beijing. Judge Zhang did not further specify, but it seems unlikely to mean establishing China’s own investment dispute resolution center. Perhaps this means increasing the role of Chinese courts in hearing cross-border cases involving OBOR jurisdictions. judicial review of arbitration (this has been signalled for at least two years). Judge Zhang signalled that they want to establish an English language website on foreign-related civil and commercial matters. It is hoped that this new website will post information in a more timely manner than the current SPC English language website. An (unsolicited) recommendation is to hire an expatriate editor (similar to Xinhua and other Chinese media outlets) to assist in delivering content that meets institutional requirements and interests the foreign user. Vigorously participate in the formulation of international norms, promote the handling of foreign-related economic and social affairs according to the law, strengthen our country’s discourse power and influence in international legal affairs, use legal methods to safeguard our country’s sovereignty, security, and development interests. The Supreme People’s Court (SPC) database, China Judgments Online, receives good marks from most commentators inside and outside of China and it is one of the successes of the judicial reforms that President Zhou Qiang often discusses with visiting foreign guests as well as domestic officials. Only now has a team of researchers from Tsinghua University drilled down on the case database (but only through 2014, because the data was not complete for 2015) (short version found here and full version here). They found that there is room for improvement. The researchers found that only about 50% of number of cases resolved in the Chinese courts (about 30.5 million during 2014-2015) have been uploaded to the case database (14.5 million). Almost 80% of the cases uploaded are from the basic level courts, with intermediate level courts accounting from almost 19%, and fewer than 1% from the SPC. Approximately 63% of the cases are civil, with 20% criminal, enforcement 15%, and administrative cases less than 4%. Are courts uploading cases to the database consistently? The map above is based on an analysis of 2014 data. 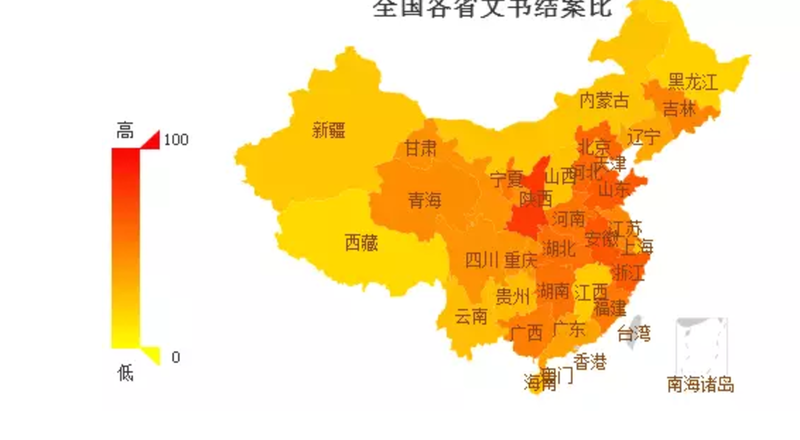 Shaanxi, Zhejiang, Shandong, Anhui, and Hebei provinces were the best performers, particularly Shaanxi; Henan, Fujian, Hunan, Hubei, Guangxi, and Ningxia were in the second tier, uploading at least half. The less transparent courts include Tibet, Xinjiang, and Guizhou. Are cases uploaded consistently throughout the year? At least in 2014, there was a half year and year end rush to upload cases. It appears that the uploading of cases is one of the items for judges performance appraisal. More than half of judicial documents have not been uploaded to the database, including judgments in some of the more controversial cases. 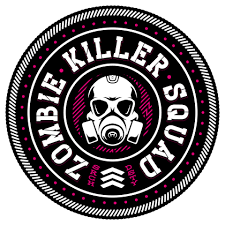 Technical issues complicate the uploading process. Because the courts are administered locally, the IT systems are local as well. Large gaps exist between the coastal and inland provinces in uploading judgments, with long delays an issue as well, although the regulations require judgments to be uploaded 7 business days after they take effect (this provision is unchanged from the 2013 version). The Chinese government has allocated USD $40 billion to the Silk Road Fund associated with the One Belt One Road strategic initiative, to improve infrastructure overseas. China’s judiciary, an important part of the nation’s legal infrastructure, requires better funding as well. Even a tiny percentage of that $40 billion would go far to contribute to improve courts’ IT infrastructure, not to mention improved salaries, and the retention of the research departments of local courts. Investment in the courts is needed to bolster the Chinese (not to mention foreign) public’s confidence in the Chinese courts’ ability to provide a better quality of justice. provide adequate funding for the Judiciary.I would like to choose a fresher topic, but duty calls. The budget remains the single most important issue facing the courts…. The Supreme People’s Court and other Chinese government institutions have been making increasing use of name & shame lists to call attention to illegal behavior by institutions and individuals and to prevent them from benefiting from their illegal behavior (as I discussed in this blogpost). International institutions, such as the World Bank, Asian Development Bank, African Development Bank, Inter-American Development Bank and the European Bank for Reconstruction and Development, name and shame as well. They list firms and individuals that have been disbarred (by their own or counterpart institution) from being awarded a multilateral development bank contract because they have been sanctioned for fraud or corruption violations (the World Bank list is here and a comprehensive introduction is found here). The World Bank cooperates with other international and national regulatory and enforcement organizations, such as the European Anti-Fraud Office and the UK’s Serious Fraud Office. Some of the Chinese companies that have been or are currently being disbarred are party to major contracts (or memoranda of understanding) under various Chinese government initiatives. According to a recent report in the Philippine press, China Road & Bridge and affiliated companies (blacklisted by the World Bank until 2017) are among the major beneficiaries of President Duterte’s recent trip to China. Other blacklisted companies are doing projects in Africa and Central America. 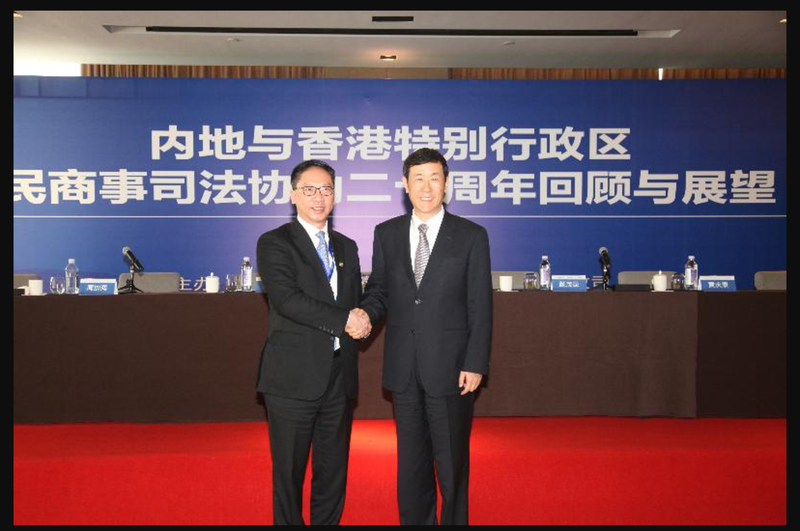 Officials of the Supreme People’s Procuratorate, as seen in this 2014 article, are advocating better international cooperation with anticorruption efforts in the business sector and mention the international development bank blacklists as a given part of the international anticorruption landscape. They reveal that there are major compliance issues among Chinese SOEs operating abroad, with bribery as one of many problems and a generally prevailing indifferent attitude towards legal compliance. It appears there will eventually be a better integration of the multilateral development bank blacklists with the Chinese system, but this will take time and many hours of quiet advocacy to put in place. It would be unfortunate if these efforts are accelerated because disbarment of Chinese companies under the World Bank system results in further investigations or sanctions in Europe, United Kingdom, or elsewhere in the world. Too many lower courts are causing private investors to lose ownership of their companies, particularly those that are affiliated (挂靠) with government (the affiliation system was a way for entrepreneurs to avoid restrictions on private business by affiliating their operations with government). Courts are failing to protect the ownership rights, intellectual property rights, and operational rights of private companies, and prevent the “illegal seizure” of private property. Courts are failing to uphold the rights of private enterprises to invest abroad. On labor issues, courts should seek to balance the interests of the workers with the continued survival of companies, and seek to reduce labor costs. Especially for small and medium enterprises (this earlier blogpost highlighted how often private companies are sued in Guangdong in labor cases), courts should seek to resolve disputes through conciliation. For companies in trouble, courts should use measures such as taking security to prevent employers from maliciously harming worker’s interests. Private entrepreneurs face hidden obstacles and difficulties, both from the legal system and in practice. There are hidden inequalities in their legal status, particularly when they are facing monopoly [duopoly] state owned enterprises (SOEs), given huge power of the SOEs. Second, the investment environment for private companies is unstable. Government policies and measures often change, such as when government signs basic infrastructure contracts with private companies, but then government changes the related urban plan. Third, private entrepreneurs in the past have failed to receive equal legal protection, because of judicial local protectionism and inconsistencies in judicial decision-making. A prominent legal blogger suggested that local courts frequently abuse their authority to seal up or freeze business assets of private companies, causing significant losses. The Chinese government is promoting public private partnerships (PPP) but has not been able to attract substantial interest in the projects for a number of reasons, including regulatory risk. Private investors are also concerned that the local courts will not protect their rights in the event of a dispute. Statistics released by the Chinese government earlier this fall reveal that overseas investment by Chinese private enterprise in 2015 surpassed investment by state-owned enterprises, accounting for 65% of outbound investment, with observers disagreeing on the extent to which it represents capital flight. The failure of private investors “to feel justice in every case” (linked to the lack of autonomy of Chinese courts hearing cases involving the rights of private entrepreneurs) will lead them to invest less in the Chinese economy, and diversify even more assets to jurisdictions more protective of private property interests. Those other jurisdictions will benefit from an inflow of capital and entrepreneurial spirit. On labor issues, the SPC has indicated what current government policy is and what the courts need to do to implement it. It is unclear whether these policies will be effective in reducing labor unrest. In the run up to the Sixth Plenum of the Central Committee of the Communist Party, which will focus on “intra-Party political life in the new situation,” the Supreme People’s Procuratorate (SPP) released further information concerning former Supreme People’s Court (SPC) Vice President Xi Xiaoming. As this blog noted over one year ago, his case was transferred from the Party disciplinary authorities to the SPP for further investigation. According to a recent report, The SPP has finished its investigation and has transferred Judge Xi’s case to the Second Branch Procuratorate of the Tianjin People’s Procuratorate. The procuratorate has filed its case in the #2 Tianjin Intermediate People’s Court. The authorities apparently considered these institutions reliable, because they had dealt with other sensitive cases earlier this year. The charges against Xi include: using his office and position to obtain benefits for others or using his authority and position to provide conditions [for obtaining benefits], and obtaining improper benefits through the acts of other state staff in the course of their work, illegally accepting huge amounts of money and assets. The judgment to which the charges relate has been published. The report repeated statements made about Judge Xi earlier by Meng Jianzhu, head of the Central Political Legal Committee, and SPC President Zhou Qiang. In August, 2015, Meng said: “Xi Xiaoming has shamed the judiciary, as an experienced judge who has worked in the Supreme People’s Court for 33 years, who has colluded with certain illegal lawyers, judicial brokers, and lawless business people by accepting huge bribes.” During his report to the NPC in March, 2016, Zhou Qiang said: “especially the effect of Xi Xiaoming’s case of violating law and discipline is terrible, has deep lessons” (尤其是奚晓明违纪违法案件影响恶劣、教训深刻). The report also mentioned that Judge Xi’s case has been used as a typical case by the Central Commission for Discipline Inspection. Although the SPC and several other central criminal justice institutions have recently issued a policy document on making the criminal procedure system trial-centered, the first principle of which is “no person may be found guilty except by the lawful judgment of a people’s court,” Judge Xi’s case seems to be yet another instance in which the exigencies of the political system trump respect for the formalities of the operation of the criminal justice system. Annually thousands of petitioners visit China’s courts, particularly the Supreme People’s Court (SPC) and its two circuit courts, to seek relief from injustices in the lower courts (and sometimes other injustices). 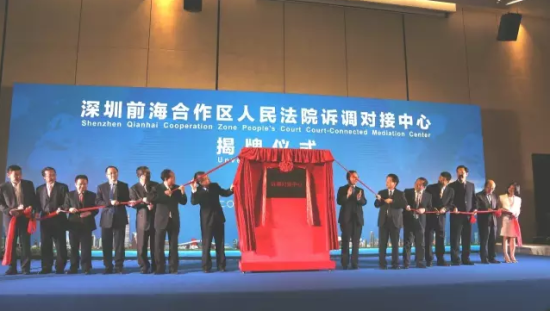 The #2 Circuit Court, located in Shenyang, Liaoning Province, has as one of its goals improving the way the courts in China’s northeast deal with cases in which ordinary people challenge government action, under the Administrative Litigation Law. (Additionally, it hears a range of civil cases, as well.) The court is doing that through issuing a set of documents (to be analyzed in a future blogpost) and a research report. (For those not familiar with what the SPC does, when the SPC looks into an issue, it often designates a research team to visit lower courts and review some of their files.) The chief judge of the #2 Circuit Court, Judge Hu Yunteng, and two colleagues looked into the question of why so many petitioners in Shenyang have grievances about administrative litigation in the lower courts. According to the study, one-quarter of the 5000 petitioners whose visit was registered by the court in the first 11 months of 2015 complained about injustice in administrative cases, while those cases constituted only 2% of the overall caseload of the three northeastern provinces. According the study, most of the petitioners who visited the court were not registered. From other statistics, a total of 33.000 visitors petitioned the court. In 2015, the #2 Circuit Court heard almost 200 administrative cases (accepted 193, closed 189, while in 2016, it accepted 691 administrative cases and closed 687). Who are these petitioners in these cases, why are they petitioning, and what should be done about it? Most are from the countryside or unemployed, with very few represented by lawyers. They often come repeatedly and in groups. They come in groups because of a group grievance, often relating back years and sometimes several decades. Why Liaoning? The court’s location in Shenyang means that it is more accessible to them, the province is more populous and has historically had more administrative cases. The peak of petitioning was in March, 2015 and is now has stabilized at a lower number. The grievances are what the SPC (and the Communist Party) entitle “people’s livelihood,”–cases challenging government land requisition and compensation demolition of real property; administrative inaction, and release government information. Of those, 66% are related to land requisition, generally when the government requisitions land in old city and shantytowns. The core reason, according to the judges’ analysis, is local government failure to comply with the law in the process, causing all sorts of administrative litigation and large numbers of petitioners. Another reason for petitioning is that the rationale in court decisions in these administrative cases is inadequate or totally unclear, with overly simple descriptions of the facts. The decisions often do not make sense; the result is sometimes correct but the reasoning entirely wrong. If court decisions do not make sense, naturally it will lead to the litigant reasonably suspecting their legality. In some cases the courts failed to review the legality of the administrative action, failing to mention obvious illegalities, simply saying the defendant had not infringed the litigant’s rights. .
Judge Hu and colleagues identified a number of factors causing the ongoing large number of petitioners aggrieved by administrative cases, both external and internal to the courts. The report often refers to “some courts” acting in a certain way, without quantifying the percentage–leading the careful reader to wonder whether it really means “most,” but the judges are reluctant to say so. Their analysis is summarized below. The basic reason is that the constitutional status of the court has not been implemented. “Big government, small court” (大政府，小法院) is an undeniable fact. A court has the status of a department at the same level of government, so under this structure, it cannot be a countervailing force vis a vis the same level of government. When a court is hearing a case, the defendant county head, as deputy Party secretary calls the court president in “for a chat.” If the status of the court in the political system is not changed, it cannot decide cases independently and the rate of petitioning about administrative cases will not go down. Local courts have jurisdiction over most local administrative cases, but they are under the control of local government, which interferes in every aspect of the case. The local courts make decisions that violate the law, ordinary people’s faith in the justice system declines, so many petitioning cases. The ideal of justice for the people not implemented, because some courts, in the name of “serving the greater situation,” stress protecting local stability but fail to protect people’s rights, issuing illegal decisions, harming the prestige of the judiciary, causing disputes between officials and ordinary people that could have been resolved through legal means to be pushed into petitioning. Cases are bounced back and forth between courts, with no court undertaking a serious review of the case. Courts are seeking to close cases without resolving the underlying issues. With the courts as the place for resolving social disputes and amendment of the Administrative Litigation Law (expanding its jurisdiction), aggrieved litigants, holding sheafs of court decisions are petitioning higher courts, particularly the #2 Circuit Court. If the reasoning is not clear or transparent, ordinary people will just think it is “officials all protecting one another” and petition. Compounding the problem is weakness in the administrative divisions in the courts and the reception office of the courts. The administrative divisions do not have many cases, so outstanding judges are reassigned, and the team of judges in these divisions is unstable. In the reception office of the lower courts, staff often fails to explain the law to litigants, and are high-handed. doing a better job of public education (宣传教育) through publicizing cases. The authors do not venture comments on whether the situation that they describe is typical for other areas of the country, but a quick search reveals courts in other areas of the country raising many of the same issues. Will the current judicial reforms be able to deal with some of the issues raised by the authors of this study? Only partially, it seems. The future change in appointment and funding, better training for and treatment of local judges should be helpful. The 2015 regulations forbidding leading official interference in court cases should, in theory, reduce local government official interference in the local courts, but more needs to happen to educate local officials to comply with the law. Regulations issued earlier this year mandating legal counsel for Party and state organs may be helpful in the long term. It may be helpful for the #2 Circuit Court to reach out to local lawyers to advise petitioners, as the #1 Circuit Court has done, but whether local lawyers are willing to do so (on a pro-bono basis, as is true in Shenzhen), or possibly that they are concerned that they may be accused of trouble-making under new Ministry of Justice regulations remains to be seen. It is clear from the report that deep-seated attitudes towards law and ordinary people held by government officials are changing only very slowly. 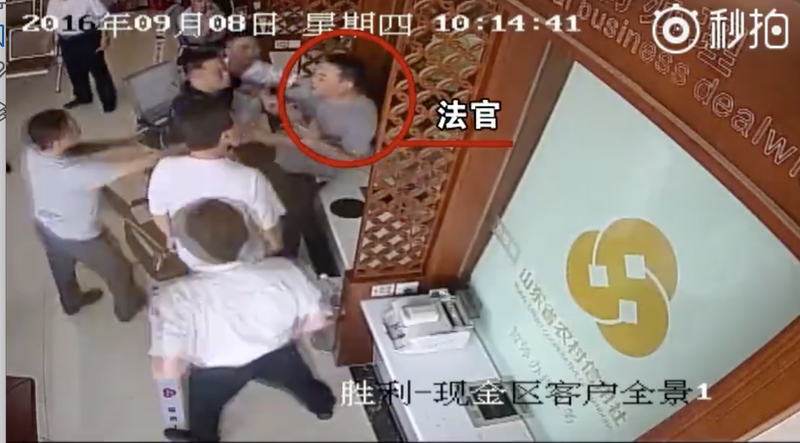 A video of the incident (from which the above photo was taken) has been circulating of the incident, which originally had been deleted from Tencent video but now has been restored.The video shows two judges from the enforcement division of a county court at a local bank being attacked by personnel from the defendant company. The video states that the judges were taken to “headquarters,” with one kept as a captive and the other taken back to the bank. A subsequent local government statement said that the investigations were continuing and the two judges were safely escorted from the county. The official statement, made first by the Supreme People’s Court on its Weibo account , was subsequently reprinted in other official media, including on the front page of the People’s Court Daily and the website of the Central Political Legal Commission. Presumably social media was flooded with thousands of messages from local judges on the lack of respect for the judiciary by the public and officials. Wang Dong, prosecutor, author of CU检说法: Today enforcement division judges were beat up, maybe tomorrow it will be the criminal, civil court, and administrative division judges. Today Shandong judges were beaten, maybe tomorrow it will be Anhui, Henan, or Zhejiang judges. Today those who were beaten were judges executing their public duties, maybe tomorrow it will be public prosecutors (procurators), police, or lawyers. Everyone will not always be just a spectator. If we say that the safety of judges, prosecutors, and police officers in the execution of public duties is not guaranteed, how can we expect them to protect the safety of social justice yet. And a last sentence to say: If the judge can not feel justice when he encounters violent resistance to law, how can he make people feel justice in every case? If there is no limit on public power, judicial power loses its authority (公权无抑遏，司法失权威). Which Chinese cases are most persuasive? Chinese courts are paying more attention to the use of precedent in considering how to decide cases. (Two of my fellow bloggers, Mark Cohen and Jeremy Daum, have recently published on this issue, as have I.) One of the many issues remaining to be settled as China constructs its own case law system is a hierarchy of precedent, so that the Chinese legal community, in particular its overworked judges, have clear rules on this issue. (This is one of the questions subsumed under #23 of the Fourth Five Year Court Reform Plan). The second, an article by Judge Wang Jing, a senior Nanjing Intermediate People’s Court judge, published (and re-published) in a number of prestigious Wechat public accounts, including the account of the Shandong Higher People’s Court. (Wang Jing has frequently published in SPC publications and she published her views on the judicial quota system (on Judge He Fan’s public account). I’ll focus on Judge Wang Jing’s analysis. 2.Cases published in the monthly SPC Gazette. Those are of two types: selected judgments (裁判文书选登) and cases (案例), generally totalling 20-30. The first type are cases decided by various trial divisions of the SPC and reflect their views on certain issues, while the second model cases submitted by the local courts (through the provincial high courts), which have been reviewed by the various trial divisions of the SPC. 3.Other cases published by journals of the SPC such as Selection of People’s Court Cases(人民法院案例选), (a quarterly publication of the SPC Center for Applied Jurisprudence), China Case Trial Highlights (中国审判案例要览) (an annual publication of the National Judicial College and the Law School of People’s University)、and People’s Justice–Cases (People’s Justice is a biweekly publication,but the Cases section is published monthly). She notes that these cases reflect issues considered difficult and disputed in practice. 4. Trial Guides edited and written by the trial divisions of the SPC (最高法院各审判业务庭编写的审判指导丛书). The People’s Court Press publishes a series entitled China Trial Guide (审判指导丛书), with separate publications by various trial divisions of the SPC, including the case filing, civil, administrative, #2 civil and #4 civil divisions. These publications often contain cases from the lower courts, or in the case of the #4 civil division, cases that have been reported to that division for review under the Prior Reporting system. 5. Case publications by various higher people’s courts (各地高级法院等编辑的案例刊物). She notes that many provincial higher people’s courts (and some intermediate courts) publish cases, with cases published by the ones that have been in operation the longest and are more influential considered the more persuasive. She mentions the Jiangsu Higher People’s Court Gazette as an example, which has cases decided by that court and model/typical cases from the lower courts. (These are similar to categories 4-6 above). This is another area in which Chinese law appears to lack firm guidelines about order and terminology (as I wrote about this theme in a series of articles for Practical Law China, ( note that they are behind the company paywall).The SPC and its divisions (and even one of its Circuit Courts) issue collections of model/typical cases (and summaries of such cases) under a variety of titles. Terminology (aside from the guiding cases) is not entirely consistent. The SPC issues notices and replies (generally of divisions of the SPC), acknowledged by Vice President Shen Deyong as a source of law, in an introduction to the book Collection of the Supreme People’s Court’s Judicial Rules (2nd edition)–how do these relate as sources of law vis a vis various types of cases or case summaries? The legal community (domestic and foreign) awaits greater guidance. A report in Caixin on 8 September revealed that Judge Zhou Fan, vice president of the Supreme People’s Court (SPC)’s First Circuit Court in Shenzhen (and member of its Party committee) has been cooperating with Central Commission for Discipline Inspection (CCDI) investigators (i.e. taken into custody (according to Caixin’s English version)) for at least two mo nths. [The original Caixin report has been taken down, but has been republished by Hong Kong’s Economic Journal.] Judge Zhou has worked in the SPC for over 20 years, focusing on commercial matters, both domestic and cross-border, and would have been considered to be technically outstanding to be selected to be a senior judge for the First Circuit Court. According to the Caixin report, he is one of the judges linked with former Vice President of the SPC, Xi Xiaoming (earlier posts on Xi found here and here). The Caixin report mentions other allegations against Judge Zhou, such as cooperating with litigation brokers and interfering in major commercial disputes.The dates of the alleged conduct are not specified. So returning to the social context of 2011. A number of Chinese lawyers and academics have privately noted that at the time of the case in question, it would not be unusual for supplemental payments to be made to Court judges in connection with commercial disputes involving large amounts of money, and refusing payment could also have been awkward for those involved. Although Judge Zhou’s photo remains on the First Circuit Court website, the publication of this report and allegations do not augur well for his tenure there. 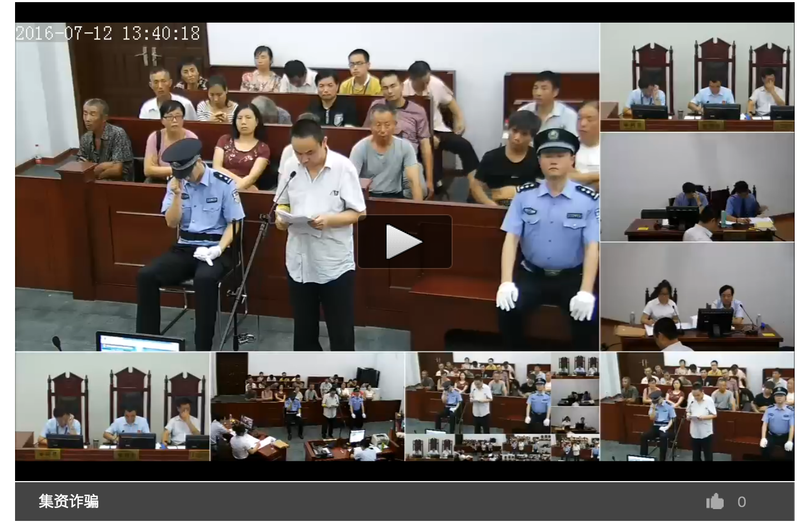 One of the less recognized aspects of China’s judicial reforms is the live streaming (and video archiving) of Chinese court hearings. other than the coverage of the Bo Xilai case. (I put myself in the category of the persons who were formerly unaware of this development). This blogpost looks (briefly) at SPC policies, current developments, and some very thoughtful analysis of the issues by members of the Chinese judiciary. 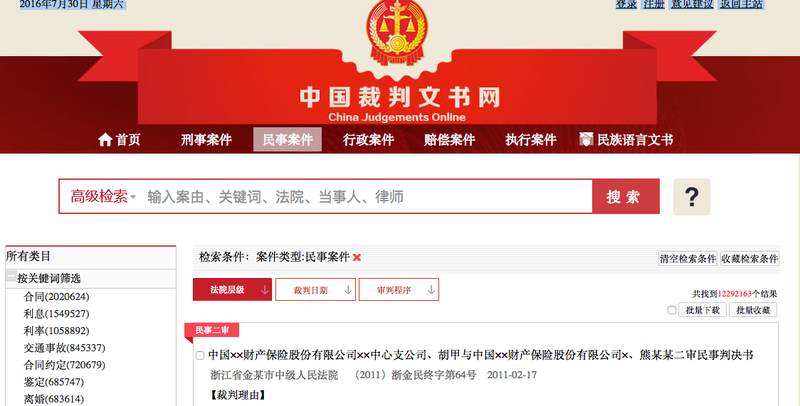 It follows from my previous blogpost on online broadcasts of Supreme People’s Court (SPC) public hearings. Several times this month (July, 2016), President Zhou Qiang has highlighted live streaming (and video libraries) of court hearings, most recently on 18 July, when he spoke about China’s “Smart Courts” and the SPC’s 3.0 Initiative, and reflects the information technology orientation of the Chinese courts (see this brief article on the topic). In streaming court cases, the SPC and local judiciary are part of a worldwide trend. Even the US federal courts are experimenting with them, with the Court of Appeals for the 9th Circuit taking the lead. The courts of Queensland (Australia) have recently issued a paper, looking at the issues from an Australian law perspective and very usefully providing a survey of the law worldwide on major issues. What are the Chinese courts doing? The Chinese courts are implementing live broadcasting and video libraries of a selected, but increasing number of cases, with courts in more prosperous areas taking the lead. The Guangzhou courts were among the courts to broadcast court proceedings first. A minority of those cases are found on the SPC’s Court Tv website and most are found on local court websites, often on that of provincial high courts. The cases tend to be primarily civil cases, with some criminal and a few administrative cases. On the website of the Beijing courts for example, there are total of approximately 500 cases, of which 364 are civil cases, including an unfair dismissal case brought against Carrefour, 106 criminal cases, including one with an unrepresented defendant, and quite a few cases involving methamphetamine trafficking. The most popular one is a 2014 corruption case. There are 12 administrative cases, including a case against challenging a housing demolition decision by the Fangshan government. The Zhejiang High Court seems to have video libraries of hearings in two places: this one has links to hearings for sentence commutation, such as this one, while another website has a broad range of cases, including this recent one from the Wenzhou courts, in which the defendant is being prosecuted for trafficking women into prostitution. 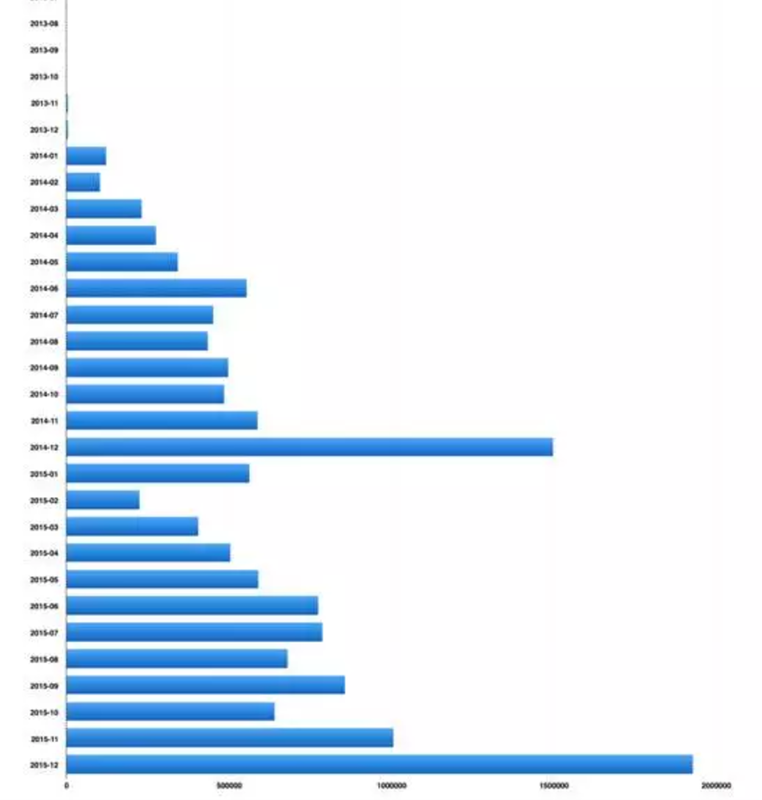 SPC’s 2015 report Judicial Transparency of Chinese Courts highlighted the broadcasting of Chinese court trials, noting that by the end of 2014, there were 519 live broadcasting of court trials through the SPC’s China Court’s Live Trial website (http://ts.chinacourt.org/). and that the local courts had streamed over 80,000 court trials. The numbers are much higher than that (close to 5000 on the SPC’s website) and certainly many more on local court websites. 15. Establish mechanisms for audio and video recording the entire course of hearings.Strengthen the establishment of technical courtrooms, promoting the full audio-video recording of trial proceedings. Streaming is also linked to the SPC’s five year plans related to information technology:including a 2013-17 plan on the Informatization of the courts (人民法院信息化建设五年发展规划（2013-2017）) and two ongoing ones, the Five Year Plan on the Informatization of the People’s Courts, 2016-20(人民法院信息化建设五年发展规划（2016-2020) and the SPC’s Five Year Informatization Plan (最高人民法院信息化建设五年发展规划（2016-2020)). The 2010 Regulations do not provide specific protection for the rights of individuals, but focus on the type of cases to broadcast and approval procedures for broadcasts. (4) other cases of which the live broadcasting and rebroadcasting are inappropriate. [Translation from Chinalawinfo]. While the SPC leadership is highlighting the virtues of the streaming of trials, some local judges, likely writing from their personal experience, and comparing Chinese rules with counterparts worldwide, are more critical. These judges from the Guangzhou courts (judges with several years of experience with trial streaming) raised issues concerning privacy rights, the right to a fair trial, and the public’s right to know. Open justice is necessary to consider the relationship between state power and individual private rights, but also the public’s right to know and the right to privacy of the parties must be balanced. For criminal cases, for the defendant, the trial webcast is equivalent to a disguised form of a public rally– it could mean that the person has the label of “criminal” for life . In civil disputes, some statements in court may involve aspects of the private life that the parties or other related persons do not want publicized. Meanwhile, network videos and enormous destructive power of “human flesh searches” combined with public opinion on the parties and their families will have a significant impact, which are likely to lead to their privacy being violated. Not all the information and all the facts of the case should be disclosed online. Some information can be shielded, such as date of birth, place of work, home address, ID card number, bank account information, and the personal information of related parties, such as close relatives, witnesses and other participants. Parties should have a veto over the trial webcast, and in criminal cases, the victim and his or her family should be consulted as well. They also suggest shielding some information from broadcast. As a staff member of theChengdu courts noted, similar issues are raised by the database of court decisions, such as a case in which the plaintiff’s claim for damages from a traffic accident (including the loss of the ability to procreate) made him the laughingstock of his workplace. Other local judges have commented that the cases selected for broadcast are not representative, too simple, and that they are sometimes selected for political reasons. 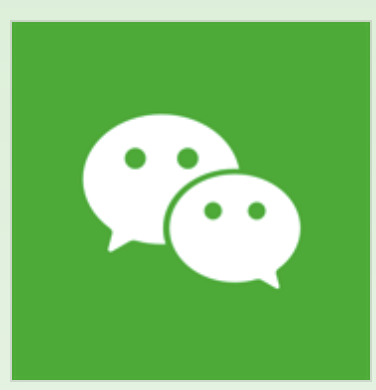 The underlying problem both for online streaming of cases and the court database is that there is not enough Chinese privacy law to protect individuals. Whether the SPC will issue more detailed regulations on privacy in internet broadcasts of court proceedings is unclear. It does seem clear, that an important rationale for streaming cases is to educate the masses–杀鸡敬猴。Politically sensitive cases are not generally streamed. For the observer of the Chinese courts, it is a fascinating resource in many ways, whether it is noting the number of cases with people’s assessors, women prosecutors, judges, demeanor of the legal professionals, parties, and bailiffs. Do you need the Supreme People’s Court Monitor? engaging Susan for teaching, professional training, writing and editing related to the Chinese legal system. She is well placed to provide focused analysis of Chinese legislation on the horizon, and spot regulatory trends as well as trends in Chinese court policy and litigation that neither law firms nor risk consultancies can provide to organizations, chambers of commerce, corporations, trade associations, universities, and national or international institutions. For the Chinese legal community, she can provide skills training and training in certain areas of U.S. substantive law. Please contact Susan at supremepeoplescourtmonitor.com with proposed projects or for further information (e.g. a copy of her cv/resume).